Preservation of Community Assets: Preventing Vehicular Terrorism? Blogger is back from a short break and ready to write. Once again, current events preclude a planned post on the latest iteration of the Los Angeles County Art Museum. Last week was a busy news week. 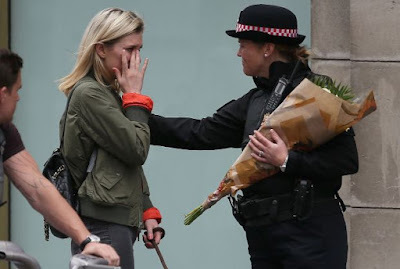 Today's post is partly inspired by Blogger's mom question whether or not vehicular terrorism can be prevented and mostly by the horrific events of June 3, 2017 in London when three individuals drove a van into a crowd of people, got out and began stabbing people, killing seven, injuring dozens, before being put down by the London Metropolitan Police. 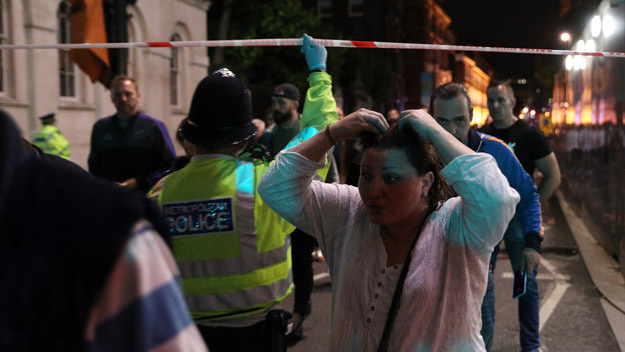 London joins Quebec, Jerusalem, Nice, Berlin, Columbus, and Stockholm in the sad roll call of places where a vehicle has plowed into a crowd of people. Is there a way to prevent vehicular terrorism? This is the question that Colin P. Clarke and Louis Klarevas attempt to answer in their CityLab article "London and the Mainstreaming of Vehicular Terrorism." 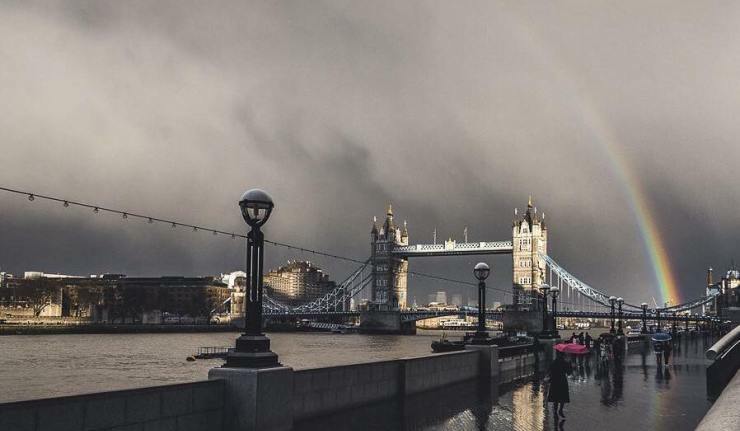 This past weekend's attack began with three individuals mowing down pedestrians trying to cross London Bridge and ended with a stabbing rampage in the nearby Borough Market, killing seven people, excluding the perpetrators who were put down by the police. The reporters observe, "As this most recent attacks reminds us, 'rammings' have become mainstrream-and the trend is worrisome." In the wake of 9/11, national and international authorities made it more difficult to hijack airplanes and obtain weapons of mass destruction. This deprived terrorists a platform for spectacular attacks. Did it prevent acts of terrorism? No, it did not. Would-be terrorist simply shifted tactics to more easy to execute acts of violence: mass shootings and vehicle ramming. The reporters note, "The unsophisticated and omnipresent threat posed by vehicular errors is now forcing those entrusted with security to rethink their paradigms." 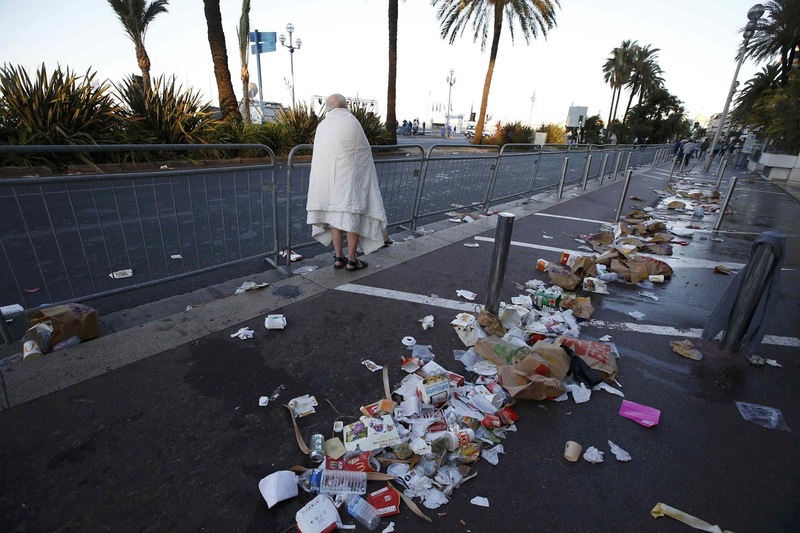 In the aftermath of the Nice attack, that killed 86 people in July 2016, Da'esh (Islamic State) published a guide for would-be terrorist, "noting that vehicles are extremely easy to acquire and unlikely to arouse the suspicions of citizens or authorities." Al-Qaeda also recommended ramming as an effective terrorist tactic long before Da'esh appeared on the radar. The reporters writes, "In a 2010 article title "The Ultimate Mowing Machine' in Inspire magazine, a propaganda publication of al-Qaeda in the Arabian Peninsula, the author gave guidance to terrorists on how to choose targets, outlining which vehicles would likely result in the highest casualties." For this type of attack the, the entry barrier is incredibly low; the primary skill required is the ability to drive. A recent Transportation Security Administration report warned : No community large or small, rural or urban, is immune to attacks of this kind. Sorry to break it to all of you but there is no foolproof solution to episodes of low-tech terrorism for a wide-range of reasons: "political reluctance to clamping down on civil rights and liberties, to the cost-prohibitive nature of securing major public spaces. In particular, pedestrians, especially those congregation in large crowds for special events, are incredibly vulnerable to attack." The success or failure of a ramming in killing a number of innocent people can be reduced to a four-point guideline; crucial to understanding vehicular terrorism and preventing it. Density: "How tightly packed are potential victims?" Open-air markets, parades, concerts, and protect marches make ideal targets because there are a lot of people in close proximity. Confinement: "How hemmed in are potential victims?" 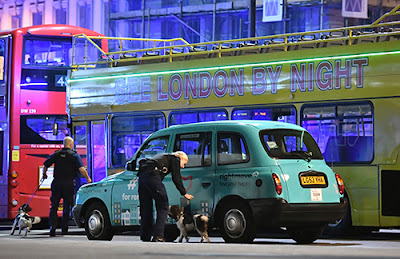 It is not enough for vehicular terrorists to strike a large, tightly packed group, a would-be terrorist also want groups trapped in venues with nowhere to run to in the event of an attack. Access: "How approachable is the target population?" Think stadium crowds like the one in Manchester last week-dense and confined. The heinous Manchester attack was a suicide bombing but imagine if the individual drove a vehicle, loaded with explosives, into Manchester Arena? 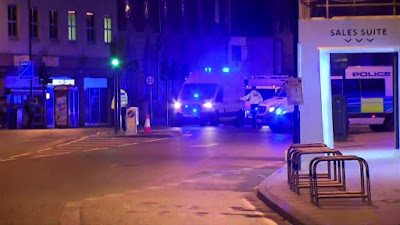 The bomber, had an unobstructed means of ingress and a direct path to the crowd. Mass: "How big is the vehicle?" Does it really matter? Unfortunately, size does matter because the larger, the heavier vehicle, the greater number of fatalities. Yours truly detests putting it such simplistic terms but: "Trucks and buses are deadlier than vans and cars." Western domestic audiences accept that, regardless of the billions spent on counterterrorism, there is no guarantee of preventing an attack. Thus, "what options are available to authorities determined to protect citizens from vehicular attacks?" Completely banning vehicles is not even a realistic solution. The better approach are proactive measures that mitigate threats. Some conventional methods have proven the most effective. Think foot patrols by local law enforcement and a visible police presence in open spaces can hinder a would-b terrorist from approaching certain targets. "For planned events in specific locations, counter-surveilance is also useful. Maintaining detailed records (especially photos) of suspicious activities that can be shared by authorities-and, when appropriate, disseminated to the public-can be instrumental to identifying and locating persons of interest to law enforcement." Both Colin P. Clarke and Louis Klarevas strongly recommend, "But nothing will be more useful than applying the four-point model and denying access to high-impact locations." Public defense begin with the basic question: "What will it take to prevent a truck or bus from reaching a cramped and constricted gathering?" The answer requires law enforcement to identifying all access points and place major obstacles on those routes (e.g. concrete barriers or use buses and sanitation trucks as blockades). One of the biggest lessons of the post-9/11 world is "public safety must involve the public." It sounds obvious but sometimes it feels like the public gets left out of the process. The slogan "See something, say something" is a simple, yet life-saving practice. It ensures that the general public knows what to look for and who to call if suspicious activities are taking place and is an extremely critical step in the right direction. Finally, individuals can do their part to foil vehicular terrorism. It is so simple anyone can do this. Lock your car and take the keys. Seriously. The reporters writ, "Perpetrators of political violence understand that the bigger the means of transportation, the greater the damage. 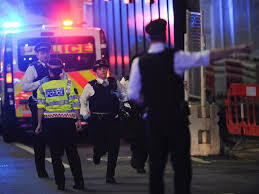 Yet, most terrorists do not have access to lorries and buses, which is why several of the deadliest incidents,...have involved stolen commercial vehicles." It sounds so basic commonsense but really, NEVER EVER LEAVING THE KEYS IN AN UNATTENDED TRUCK can so a long way in safeguarding the public. "Terrorism-especially jihadist terrorism-is often an opportunity crime." Finally, the most important step is to get authorities, businesses, and the general public to acknowledge the danger of vehicular terrorism and its affect. The first step is admitting it is a problem. "After all, a vigilant society is a safer society."